“If the FBI has requested what is now several thousand pages of testimony and findings the Senate has gathered through their investigation of Planned Parenthood,” Franks stated, “that may mean that they could be readying indictments against individuals who have committed the sale of these little body parts for profit.” Wouldn’t that be freaking awesome? Franks stated as well that he hopes the Justice Department will look at the evidence very closely that the Senate has given to the FBI. The request from the FBI was made to the Senate Judiciary Committee. After the Center for Medical Progress did a series of damning undercover videos with Planned Parenthood over the sale of baby body parts, a long investigation ensued. That started last December when Sen. Chuck Grassley (R-IA) referred Planned Parenthood and other abortion providers to the FBI for investigation. Now, we may be getting somewhere finally in regards to these butchers. Those videos caught callous and horrific maneuvers to profit from the sale of baby body parts and organs. It was just demonic. Grassley wrote at the time that the Committee’s findings document “substantial evidence suggesting that the specific entities involved in the recent controversy, and/or individuals employed by those entities, may have violated that law. 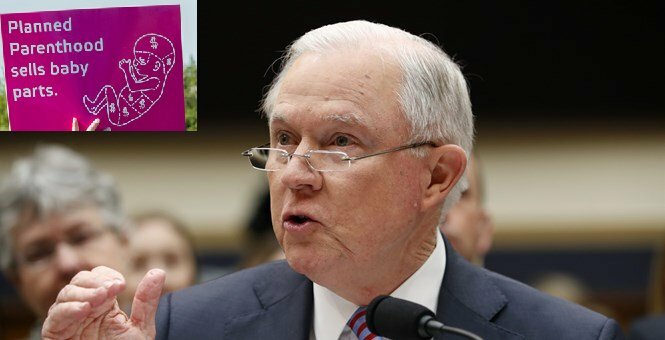 Moreover, that evidence is contained entirely in those entities’ own records, which were voluntarily provided to the Committee and are detailed in the report.” The funds that go to Planned Parenthood are fungible… in other words, they can shift funds and cover up profiting from the sale of fetal tissue. These monsters and their infanticide simply must be stopped. Let’s hope this is the beginning of the end for Planned Parenthood.